Ever felt like you couldn’t make good decisions because your emotions would get in the way? There are ways to get around that by using your emotions intelligently to your benefit as a way to solve problems that arise– without getting too upset. It can be developed as a powerful problem solving tool. The usual problems that come about individuals who feel like they want to be right and win the argument all the time there is a way to harness that and make a win-win situation. Through the use of emotional intelligent skills it creates social skills, problem solving skills, adaptability, empathy, assertiveness and concern for others as well as yourself (Jeanne Morrison PhD). 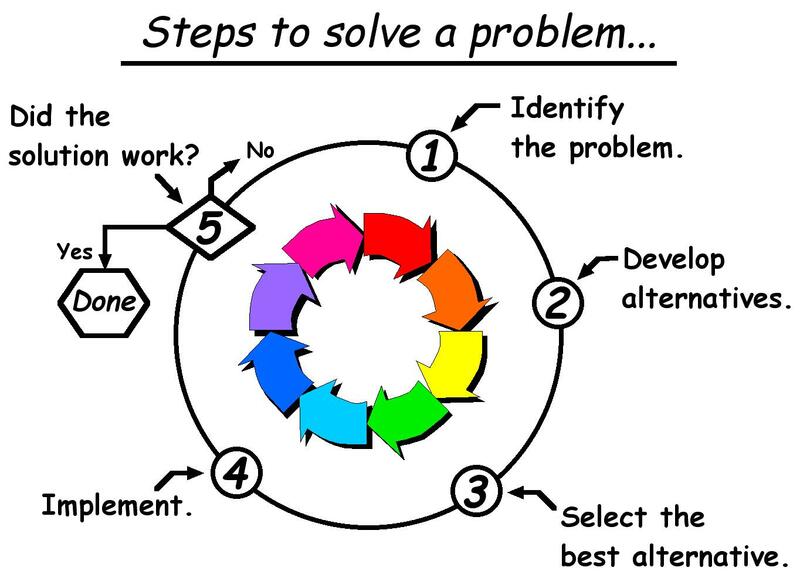 With these methods you could be able to explore the issues and coming up with creative solutions. Identifying your emotions: The best way to solve something is to identify. Identifying what youre feeling and determine whether it is something real and practical or something fornicated. For example, when you go back to your high school reunion and your high school enemy is doing better than you in life and you’re feeling jealousy. Think about whether or not what you’re feeling is because you haven’t achieved what you wanted to in life yet or you’re really just jealous. Facilitate your Emotions: Take those emotions and guide them into a different direction. Look at things in a different point of view. For example, if you’re jealous of a neighbor in your classes grades, figuring out the obstacle instead of letting it get you off track and consume you. Understanding your emotions: Once you start to understand that emotions aren’t easy as pie and start taking control of your own you can learn to help others control theirs and it will make you feel more in control. You will be able to use this with your other students, coworkers, customers at work and even your boss. Emotion can be one of the strongest influences in a peron’s problem solving skills and intelligence. Learning to control those emotions can lead to better decisions in logicical situations. Understanding yourslelf is key, Getting rid of those confirmation biases and norms of thinking you can start to think further into youself but helping other as well. As discussed in class, we’ve learned about many of the norms of thinking in people and society, and intelligence through logic and that takes a form of lots of reaction through emotion which can be controlled with discipline. This entry was posted in Uncategorized on April 29, 2018 by destinyschild. 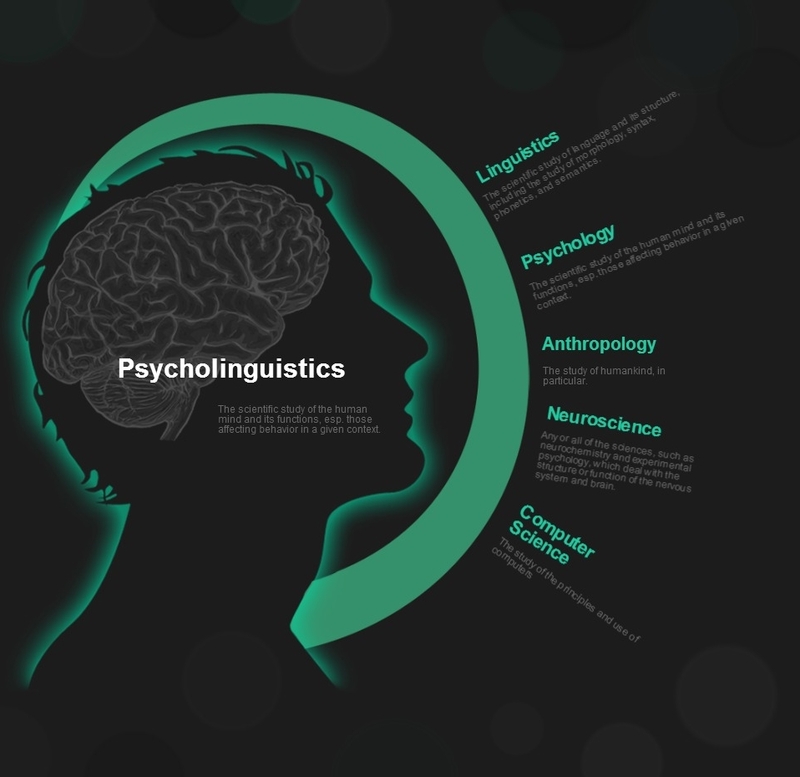 Psycholinguistics is the study of relationships between linguistic behavior and psychological processes, including the process of language acquisition. In simple terms it’s the study of relationships in language that happens in the brain. Ever take a minute to wonder why we can automatically try to pronounce a word we’ve never seen before just by using language acquisition? Or just being able to communicate with others without having a complete football play on how the whole conversation is going to go? Well that’s why we have Psycholinguistics. There are two schools of thought with two different theories. One of these two schools of thought theories are that language must be learned by the child. The other says that language cannot be learned. Well which is true? A guy names Noam Chomsky had the idea that humans possess an innate ability for language such as recursion, which are hard-wired in the brain. This gives people the ability to easily grasp on to the ideas such as grammar as well as other complex syntax. Well how do people understand what they read? Is it natural or by chance? Well there are a number of experimented theories. A big one is the garden path theory which consists of the reader to create the simplest path to understanding what was read. For example, He ate… The person will have already have the question ate what? as the simplest path of understanding. This is until the sentence gets a little more complicated. He ate while riding. That could be the whole sentence just as he ate can be. The the initial understanding of the sentence has changed. Sounds like lazy work? A possible explanation could be that back before homo-sapiens had reading and writing there was just oral speech. Now that we’ve become more complex and evolved that brain may take some short cuts because back then, all it was meant for was survival and not trying to comprehend Shakespeare’s written plays that your teacher forced you to read. This is how people produce language whether its a foreign language, different dialects, or strong accents in either written or spoken form. Ways that psycholinguists observed meanings guided by their rule governed languages are by speech errors. This could be anything from reformulation and long pauses to blending and substitutions. These observations have proved that a person does not plan their entire sentence only the main core aspects and main content of what they were going to talk about. The cognitive involvement in language is something that I never payed close attention to until I started taking Linguistics and talking about it more in this Psychology course and it makes it all the more interesting. Language is something we use day to day and not really pay too much attention to besides realizing that we just can. It can be very useful when trying to understand not only English but other languages as well; this could also be for dialects we aren’t familiar with. This inherently explains why we do what we do and creates an insight on the things we don’t pay attention to about our own being. Experiments and theories like these brings humans a step closer to figuring out our most complicated systems. This entry was posted in Uncategorized on April 9, 2018 by destinyschild. Remember when you were in that class taking an exam you studied so hard for, scanning through the test and realize that you don’t know a lot of the answers on the test. Maybe you realized that only a few things you recognize. What were you doing while studying? How were you studying, and did you actually deeply process the information? Most people believe that they can multitask extremely well or that distractions will not effect their attention on a particular task. Well, can people multitask is the question? Or are we able to do more than one task at a time? According to Broadbent’s Filter Model his experiment consisted of dichotic listening to investigate the process involved in switching attention which are presumed to be going on internally in our heads. Broadbent (1958) argued that information from all of the stimuli presented at any given moment enters sensory buffer. One of the inputs is then selected on the basis of its physical characteristics for further processing by being allowed to pass through a filter. Because we have only a limited capacity to process information, this filter is designed to prevent the information-processing system from becoming overloaded. Essentially, the experimenters were to listen to the two messages at the same time and repeat what they heard. Broadbent concluded that we can pay attention to only one channel at a time. This is a great reason why is it illegal to text and drive. Our brains process the information one thing at a time and can only switch from one task to another after about 2 seconds. This is also why it may not be a good idea to do other things while studying for a test. Also, did the teacher tell you exactly what was going to be on the test or did they leave it up to you to figure out and study everything in your textbook? According to Posner and Snyder’s Selective Attention Study there are two kinds of priming. Stimulus based and expectation based. If your teacher did tell you what was going to be on the test, you take the test, and still fail… why? Well maybe the questions were not exactly the same and they made a different scenario then you were use to studying. Posner and Snyder demonstrates an effect of repetition in addition to repetition priming. This means the more you see the question of others like it you’re more likely to recognize another. However; repetition for a test or for long term memory is not a good idea because of the lack of deep level processing. If you do not learn the material with meaning then you do not retain the information. A misled condition is slower than a neutral response. If you study the same scenario the teacher gave without thinking of other ways to interpret the scenario, you’re more likely to no recognize another scenario with the same answer. Expectation is limited capacity. Shadowing attention is selective attention to the shadowed message which results in the ignored message not being perceived and remembered. So, the reason why you may not remember half the things on the tests is because you were either maybe listening to music, talking to a friend in between which distracted you, or maybe just not deeply encoding the information into memory because of lack of attention and concentration. Try studying in increments, leave breathing room so you don’t get overwhelmed, get plenty of rest and energy, study with meaning and avoid starring at the page, maybe find a way to enjoy studying… or not. Pay attention. Study well. This entry was posted in Uncategorized on March 2, 2018 by destinyschild. I’ve always wondered about the different ways to remember things a little better; either just for remembering the answers to quiz questions or remembering your mother’s birthday (hopefully not). Well first we ask ourselves what are the best ways we remember things? Is it cramming the night before the test? Or repeatedly saying your mother’s birthday over and over again? Well there’s this idea that the mind is a computer (which in fact it is). The computer analogy is that “It doesn’t really matter whether some piece of information is stored on your hard-drive, or in the cloud, as long as it is usually ready for access when the need is there.” Is it true? That is what I’m here to figure out. We all know humans were designed to be social beings; however, in today’s day and age this has become less of an important factor to people thanks to technology (thanks technology…) Though when we do have social interaction we create social connections with other people which are our networks which we tend to remember. This is how we’re able to remember your friend’s worst enemies friend’s boyfriend that didn’t do anything for her for valentine’s day. Crazy right? When we involve ourselves in these connections we tend to remember those connections more strongly. We increase our biological memory when we use external objects such as a picture to remember the time you went on that vacation to Europe or a selfie that you saved to remember the time you were suppose to be paying attention in class for the quiz you need to study for; which are the important memories our brains save in the long term. This is an example of memory extension. The important thing is not where stuff is encoded but the uses which it can be ready. So there will be no need to use biological memory if we can just look up the answer on Google. Wrong. We should; Although people do tend to do this as an everyday lifestyle. We may not remember the cast to Vampire Diaries because there is no need to remember if we can just look them up. We are less able to recall what we can search such as a telephone number. Can you recall every single single best friend’s number without looking it up in your phone? Or remember a family member birthday without receiving the notification from Facebook? Probably not. One study found that people who took pictures of the in a museum could not recall the artwork or the location than those who did not. This shows that we rely more on external uses than our own minds. We are not using the information source to remind us what’s in our heads, but we can retrieve it by other means, memory extension used from other people’s minds. For example, parents use their children to remember all there little friend’s names until they hear it enough to recall it on their own. Kids usually have their parents to remember their ballet practice, medicine, and when and how long. When the work gets overwhelming it may help to use what others know and what can be exchanged. No this does not mean cheat on a test. Before pencils, paper, email, books, or media have been around, how did people get information? Orally! We talked to others and exchanged information brain to brain. We remember who said what so why not use that for even better purposes. Yes, the test we have to study for. Group project and group studying is the best way to do this. We are as social as the birds and the bees long before we had technology; therefore, it will come naturally on relying on others for information you may not understand yourself. Why try to force yourself to remember everything (which is very difficult). The best way is to create emotional connections and networks. This may not be the only way to remember things but it may help for that upcoming test! Study well! Frakt, Austin. “A Memory Shortcut, With a Little Help From Friends.” The New York Times, The New York Times, 8 Jan. 2018, www.nytimes.com/2018/01/08/upshot/a-memory-shortcut-with-a-little-help-from-friends.html?rref=collection/timestopic/Memory&action=click&contentCollection=science&region=stream&module=stream_unit&version=latest&contentPlacement=3&pgtype=collection.